DID NOT FLOOD DURING HARVEY! 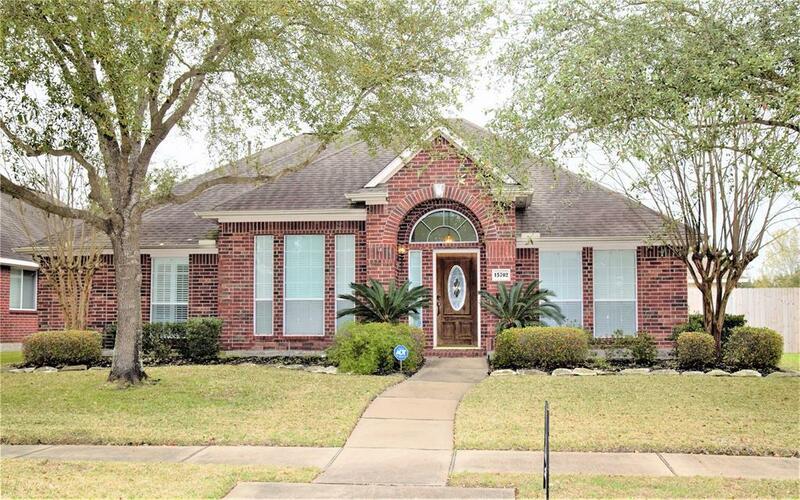 Come see this gorgeous corner lot home with a nice open floor plan with 4 bedrooms, 2 1/2 baths in Aberdeen Trails. The entire home has plantation shutters and surround sound speakers in the family. room. 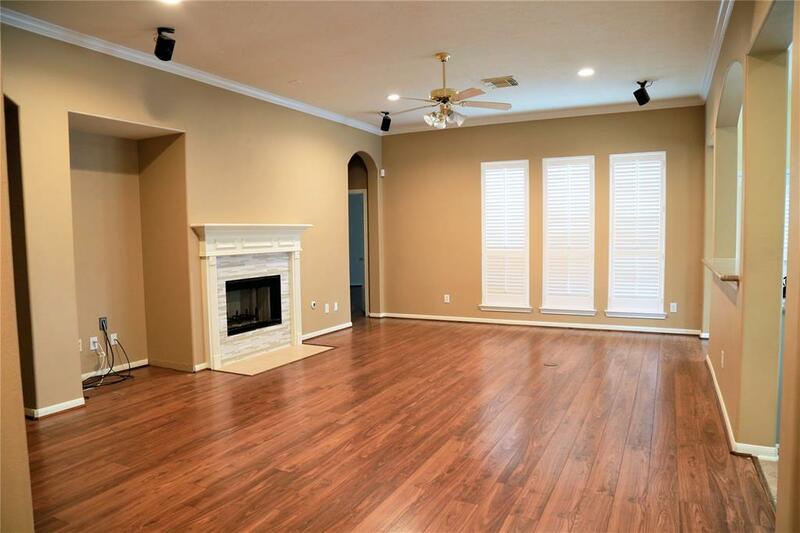 Spacious family room with laminate wood floors, beautiful fireplace, and dining room. 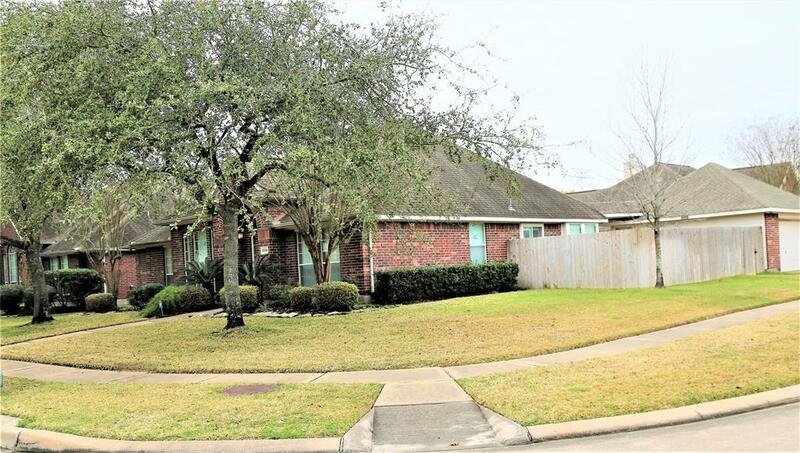 The kitchen features plenty of cabinet space, upgraded fairly new stove top, granite counter top and tile floors. 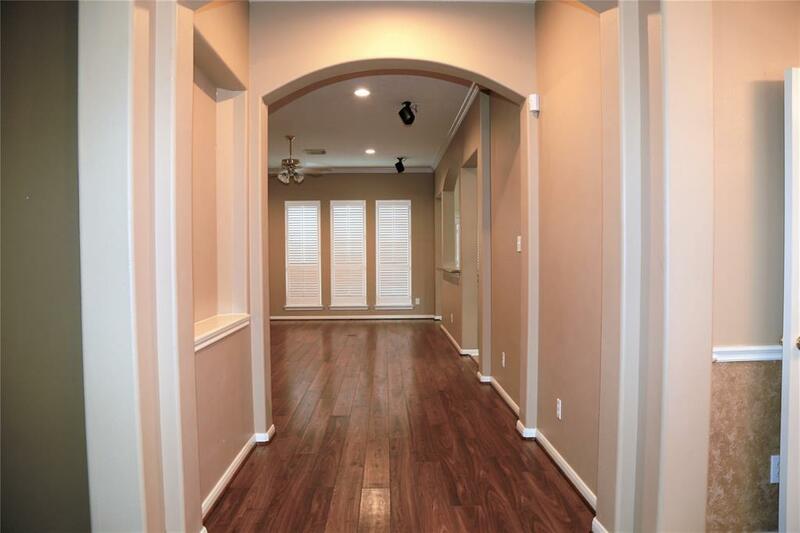 The master bedroom is spacious with laminate wood floors, and a nice large bathroom with Jacuzzi. The yard is landscaped, with a wooden fence in back and two car detached garage. This house is move in ready.